© Medeshi News: London event - Somaliland beyond drought: saving wildlife and protecting the environment. London event - Somaliland beyond drought: saving wildlife and protecting the environment. Zac Goldsmith MP and Somaliland’s Mission to the UK and the Commonwealth are honoured to host an evening with Somaliland’s Minister for Environment and Rural Development, HE Shukri Haji Ismail Bandare. The event will take place on the 3rd December 2018, between 6:30-8:30pm at the House of Commons’ Committee Room 8. Given the recent illegal wildlife trade conference in London hosted by Zac Goldsmith this event gives us an opportunity explore the incredible efforts of Somaliland Government in combating poaching and saving the environment. 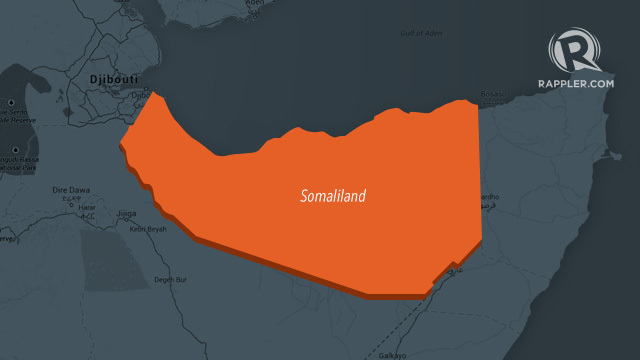 Somaliland has long suffered the double jeopardy of a cyclic recurrence of natural disasters such as droughts and cyclones with the most recent, Cyclone Sagar, devastating the country earlier this year and a significant increase in the illegal wildlife trade with the Gulf as its main market. Despite all odds, Somaliland has been at the forefront of tackling these issues with a particular focus on putting an end to the illegal wildlife trade by taking a strong stance in prosecuting those involved. Helen Pickering – Co-author of Introduction to the Plants of Central Somaliland and Royal Botanic Gardens in Kew volunteer. HE Shukri H Ismail “Bandare” Minister for Environment and Rural Development – HE Shukri Bandare founded the Candlelight for Health, Education and the Environment (CLHE) which is a local NGO that has been at the forefront of development work on those key-areas of which the environment has always been a focal point. For her pioneering and tireless work, she has received numerous accolades including Crisis Group International’s prestigious In Pursuit of Peace award which she received from then Secretary of State Hilary Clinton. She was appointed Minister for Environment and Rural Development in 2013 and has been revolutionary in ensuring climate change, animal conservation and tackling illegal wildlife trade are constantly at the top of government agenda. She spearheaded the first legislation is Somaliland that criminalised the poaching of wildlife and has been instrumental in ensuring that animals saved from trafficking are adequately looked after. She was most recently a key-note speaker and selected as one of 22 global climate trailblazers at this year’s Global Climate Action Summit. Edna trained as a nurse and midwife in London 1954-1961 – the first in Somaliland - before moving to Libya in 1965 to share her skills as a midwife trainer on behalf of the World Health Organisation (WHO). Edna Adan persevered with her work and in 1976, became the first woman director of the Somali Ministry of Health, a post she held for two years. Edna Adan served as minister of social affairs and family welfare in Somaliland and as a stellar foreign minister from 2003 – 2006. As the only female minister in the government at the time she used her position to raise the concerns and amplify the voice of women. In 2002 she founded the Edna Adan Hospital with the aim of not only training fully-qualified health care professionals but also to train and dispatch thousands of midwives throughout the country. In a region where FGM remained a widespread practice she trained midwives in modern birthing techniques and became a fearless and unstinting opponent of the practice of FGM. She went on to found the Edna Adan University in Hargeisa in 2012. Among her numerous awards, Edna Adan is an officer of the French Légion d’honneur (2012), and a Commandeur Dans l’Ordre National du 27 Juin, Djibouti (1997). Most recently she was short-listed for the European parliament’s Sakharov Prize for Freedom of Thought. She also holds an honorary award from Clark University, the Universities of Cardiff and Pennsylvania, and the Chancellor’s Gold Medal from the University of Pretoria. She has also garnered the affectionate title of The Mother of Somaliland. Helen received a PhD from London School of Hygiene and Tropical Medicine in Child Health. After 20 years in this field she did an MSc in Plant Diversity and then produced three photographic books on wild flowers – one in Nicaragua, one in Oman and one at the Victoria Fall in Zambia/ Zimbabwe. She subsequently joined the Royal Botanic Gardens in Kew as a volunteer working for five years on flora of Sudan and South Sudan. Currently she assists botanists on a variety of projects associated with the Herbarium. In May 2016 she had the opportunity to visit Hargeysa with the Somaliland Biodiversity Foundation. During this visit it was suggested that she might like to do a book similar to the ones previously completed. Consequently, An Introduction to the Plants of Central Somaliland was published in Hargeysa in July of this year. Rageh is ITV's International Affairs Editor, responsible for covering major news stories across the world. He is also the presenter of ITV's current affairs programme On Assignment. He was previously Senior Foreign Correspondent for the BBC, where he covered the second Gulf War from Baghdad, before leaving to report and present for Al Jazeera. Amos has been the African Project Director based in the UK for The Aspinall Foundation since 2000. Prior to this he was co-ordinator of PPG Congo for four years. He has worked in central Africa since leaving university in 1992. He grew up at Howletts wild animal park and has known and worked with gorillas at the two parks since childhood. Organiser of Somaliland beyond drought: saving wildlife and protecting the environment. The Somaliland Mission’s responsibility is ultimately to raise awareness of Somaliland Republic and Somaliland communities in the UK; to promote recognition, development, businesses and culture of Somaliland by building relationships with governments, the wider international community and the private sector. We have a responsibility to Somalilanders living in the UK to foster friendship, and understanding between them and the host country.